At the Annual General Meeting of the Black Diamond AFL earlier this month, Warner’s Bay Junior AFL club President Mark Philpott summed up the difficult decision the independent body that manages the Hunter and Central Coast’s senior Aussie rules competitions will eventually have to make. The BDAFL has long sought substantial funding from the AFL to sustain Australian Football in the Rugby and Soccer-dominated region, having received some support through small grants in recent years. 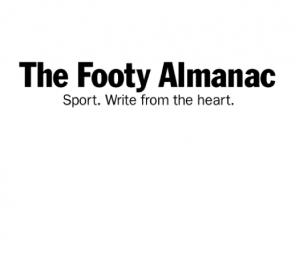 Last month, the AFL – which manages the junior leagues through AFL Hunter Coast – revealed what it wants in return for this injection: The junior and senior competitions in the regions combined into one entity from next year. For the full story please visit https://www.2gofm.com.au/news/central-coast/a-diamond-s-best-friend. Footy in Newcastle goes all the way back to the 1880s. The Riverina model sees the nebulous AFL control the competition but through local boards. most people in Sydney think footy started there when the Swans came to town. AFL very poor at acknowledging history but very good with politically correct causes! The above link was not working. The BDAFL Newcastle/Hunter District is growing well in recent years, off a very small AF base. There could also be an extraordinary 16 adult women’s teams in 2018! With AFL funding & control in NSW, AF is showing good GR growth above the Barassi Line. If the BDAFL obtains the benefits of additional AFL funding/ more local Devel.staff/ power of the AFL “brand”& related “glamour”, local AF there should show further strong growth. RL & RU in NSW have had a long term decline in male regd. GR contact numbers. About 40% of the NRL players now come from PI & NZ (either Euro or PI) heritage background. As Fiji & Tonga both had surprising wins over NZ in the RLWC, it appears RL is gaining strength there -& this success is likely to increase their nos. in the NRL. There are many more professional RL positions in Aust., than RU positions. These NRL demographic changes, together with concerns over weight imbalances in jnr RL & jnr RU, may result in AF being seen as a more desirable playing option by many who are not so “bulked-up”(and/or don’t wish to spend inordinate time in the gym on weights to be competitive in RL & RU).